In Kiamumbi which is several miles from the center of Nairobi, the Missionary Sisters of Mary Immaculate began an orphanage several years ago. Because of the devastation from AIDS, there are now more than 300 children at the orphanage. Your support will help to feed, clothe and educate these children. The children of Kiamumbi need your help. Sponsoring a child is a wonderful way to make a difference that just may save their life. Sponsoring a single child is all it takes, however; there is no limit to how many children you may want to sponsor. Let us know by sending us a message if you are able to sponsor one or more children shown here living in Kiamumbi. 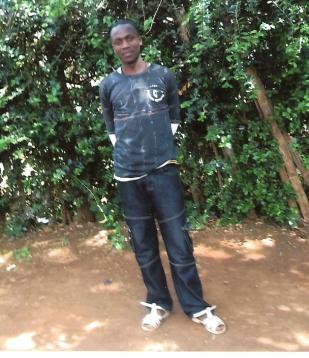 Dennis lost both of his parents to HIV Aids. He stays with his Aunt who is also HIV positive. They live in a one room metal structure. Dennis loves math and science. He wants to be a doctor some day. If he is able to continue in school, he may just see his dream come true. He needs a sponsor as soon as possible. 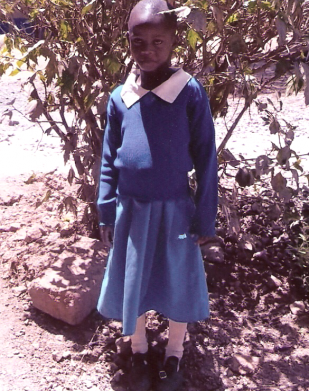 Juliet is one of two children of a widow. Her father died leaving their mother to find a way to keep her children in school. Juliet is the first born and loves to sing. This may be her God-given talent! She desperately needs funds to stay in school.